Labelled as belonging to @RobertButterworth. Some background on this sign here. I’m not seeing much reason to keep it as it runs on a 25 year old 386 and uses 3.5’’ floppy disks to store programs. 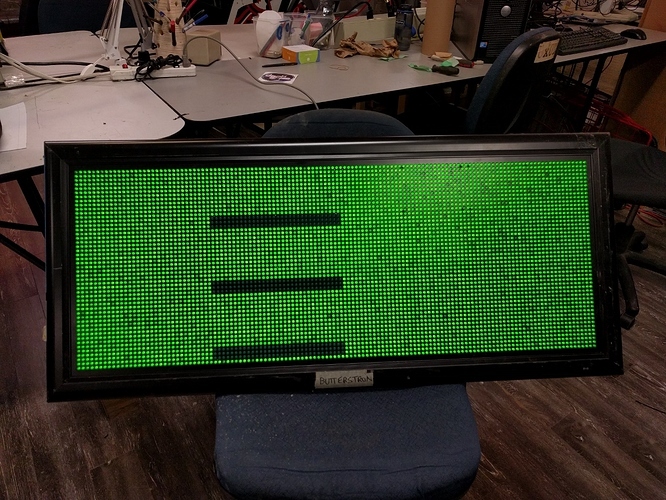 Redundant since we have the Raspberry Pi based multi-colour LED wall. Rob is still around. I will ping him and send a link to this post. I think @dbynoe was working on this at one point. Wow, just looked it up and that was two years ago… I got stalled emulating the isa bus. Then I got working on a job… like took over etc etc. I donated this way back. 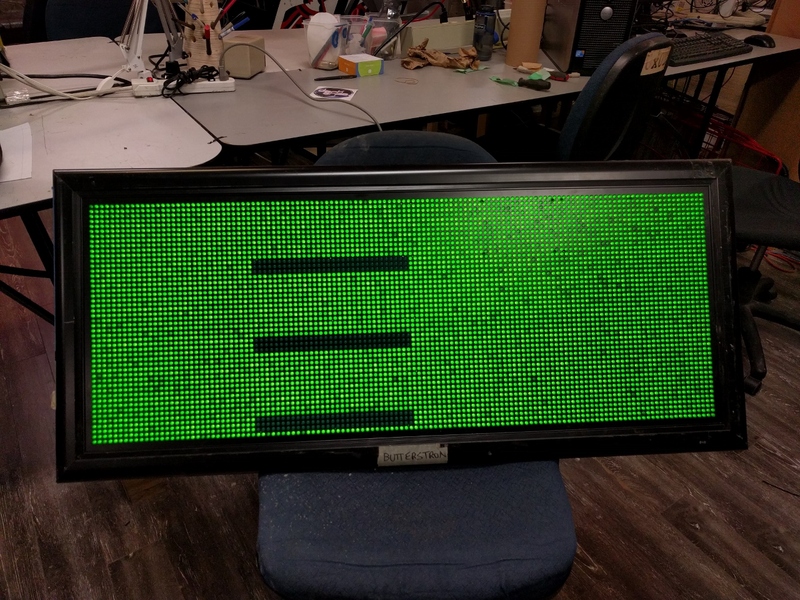 At the time all pixels were working I thought at some point we had it running at VMMF with some text displayed.